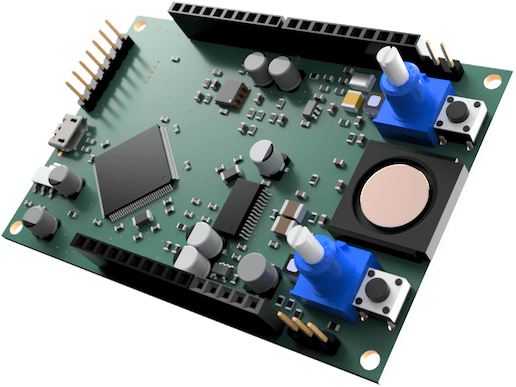 We’re pleased to announce the Chirp Explorer Board, the first embedded development board that’s tailor-made from the ground up to explore the possibilities of acoustic data transfer. Sign up to join the pre-order wait list at explorer.chirp.io. We’ll begin shipping in late 2018. The Chirp Explorer Board has been a collaboration with Rebel Technologies, some of the most talented people in audio tech, who’ve also recently created the excellent Magus programmable and patchable synth toolkit. Design and development of the highly-optimised Chirp Arm SDK has been directed by Damien Laidin, our supremely talented Embedded Lead. Damien will be introducing the Explorer Board at Audio Developer Conference 2018(London, UK).